Google, until now, allowed users to book an Uber or other taxi hailing services like Ola from Google Search or Maps app. However, users were directed to the respective taxi-hailing apps in order to complete the booking process. The latest Google Maps-Uber integration will allow users to book an Uber, complete the ride, and pay for it, all without having to leave the Google Maps app. Google has confirmed that this Google Maps-Uber integration will be available to users across the world on both Android and iOS. One of the biggest advantages of the new Google Maps-Uber integration is that users can book an Uber from Google Maps app even if they don't have the Uber app installed on the device. In this case, users will however be required to sign-in to their existing Uber account or (if required) create a new one. Google says that those using the Uber functions in the Google Maps apps can now even track driver on the map, and connect with the driver. This Google Maps-Uber integration is exclusive to Google and not available with other ride hailing services, which will continue to be available as options in the Maps before. There is a bit of a change in how they are listed though. 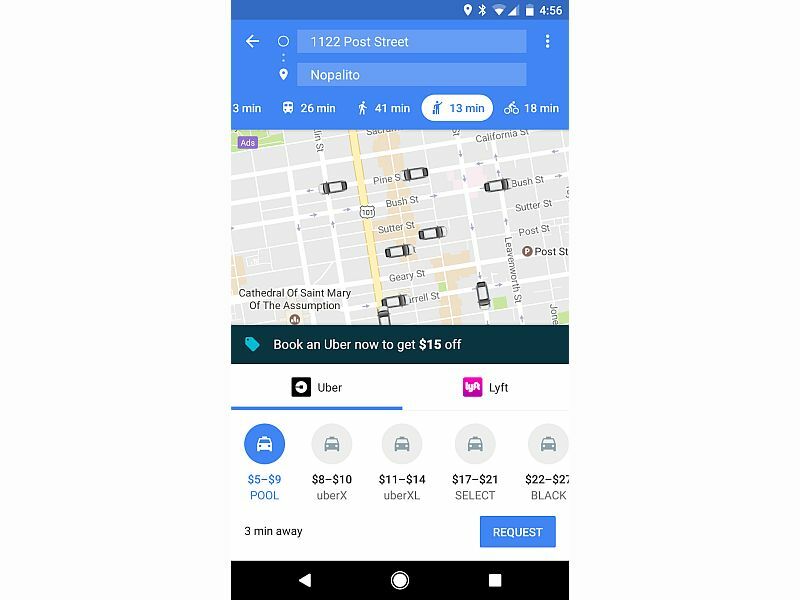 "Instead of a long list of ride service providers and ride options, you'll see the map you know and love, along with a carousel of ride service providers in your area," Sara McKinley Torti, Senior Product Manager at Google wrote in a blog post explaining the new changes. "Just tap on your preferred provider to see a complete list of ride options and special offers or promotions." As mentioned earlier, the Google Maps update with Uber integration is rolling out globally but there isn't an exact timeline on when they will be available in India and other markets. To recall, Google Maps started showing Uber as a travel option in 2015.